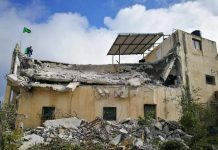 The past 24 hours witnessed a significant escalation of lethal use of force by the Israeli occupation forces against Palestinian civilians, despite the significant decrease of mass clashes in the occupied Palestinian territories. This afternoon, the Israeli occupation forces shot at a number of Palestinian civilians demonstrating near City Inn, in the north of Al-Bireh. 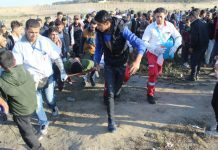 As a result, a young man from Bitonya was killed with a live bullet while he was working in an under-construction building near the area of clashes. 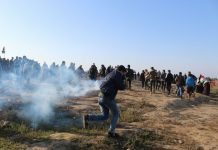 Yesterday afternoon, the Israeli occupation forces shot at a number of Palestinian civilians demonstrating near the refugee camp of Qalandya. As a result, the Israeli occupation forces shot dead a Palestinian man with an exploding live bullet in the abdomen. 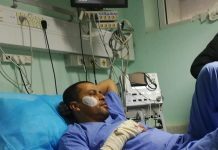 Yesterday evening, in the village of Al-Sammoua’ in Hebron, a Palestinian man was shot dead with a live bullet in the heart by the Israeli occupation forces. 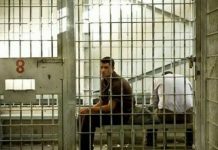 Also yesterday evening, a 17-year-old Palestinian from Gaza died from a previous wound with a live bullet in the head shot by the Israeli occupation forces on November 30, 2000. 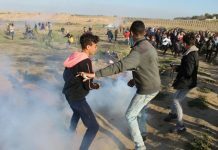 The number of Palestinians killed by the Israeli occupation forces since September 29, 2000, up to this morning, has increased to 259, including 89 children.